Do you ever wish that there was someone to guide you when it comes to managing your or your company’s assets? Someone who could be actively involved in deployment, operation, maintenance, up gradation and disposition of assets in an efficient and cost effective manner? Well, this someone, along with many others like him/her make up a sales force of individuals who are thriving in a career field that pertains to asset management. 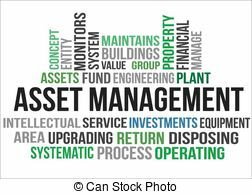 Asset management is a term that is used in the financial world, in order to describe individuals as well as companies that are involved in management, administration and organization of investments on the behalf of their clients. Companies that manage assets are in the business of using the money of other people, and multiplying it. While they do this, they not only benefit their clients, but also end up earning a hefty amount for themselves as well. However, making money this way is not an easy task. It requires hard work, persistence, passion and intensity. Asset management companies manage the money of their clients in order to realize the explicit financial objectives that are given to them according to the guidelines of the investment pool. According to ISO 55000, asset management may formally be defined as the collaborative effort of an organization to realize the value of its client’s assets. These assets may be defined as an item, a thing or even an entity that carries a value to a person or organization. In the management of assets, activities include the balancing of costs, new prospects and the hazards against the performance of these assets according to the objectives of the organization. This balancing act may continue over a period of time and at different phases. Asset management also equips an organization to inspect the requirement for, as well as the performance of assets and systems of assets at several varying levels. Moreover, asset managers resort to different analytical approaches pertaining to the life cycle of a particular type of asset. Another concept that is emerging in asset management is IT Asset management. IT Asset management (ITAM) include business practices that bring together financial, contractual and inventory functions, which pave way for improvements in the life cycle management and premeditated decision making for the Information Technology environment. These assets include all the components of the software and hardware that exist in the particular business environment. IT Asset management solutions may serve as an important fraction of an organization’s strategy. Activities include the gathering of detailed information regarding the hardware and software inventory information. This information is then used to make critical decisions about the software purchases and their redistribution. Organizations that resort to IT asset management may encounter lower risks and costs pertaining to the upgrade of IT infrastructure development schemes. Digital asset Management is a concept where management tasks and resolutions that surround the ingestion, explanation, classification, storage, recovery and allocation of digital assets are taken care of. A sub category of digital asset management is media asset management which includes digital photographs, animations, videos and music as the assets of an individual or a company. With the advancements in information technology, the computer science developments have lead to the introduction of Asset Management Software. Asset management software tracks the financial, contractual and inventory details of hardware, software and even virtual infrastructures. This includes non-IT assets as well, which are tracked throughout the asset’s life cycle. As soon as the asset is in its deployment stage, the Asset management Software records all the maintenance activity and facilitates the IT Asset management department to perform audits that are regular till the retirement of the asset. In simple terms, Asset management revolves around taking the right decisions and maximizing the value that is added to an individual’s or company’s assets. For these activities to be carried out, asset managers require the appropriate infrastructure to perform to their maximum potential. For each of the funds, there should ideally be a separate fund manager and a specialized and trained team of financial analysts who are able to bring about equities and investments that are fruitful to the client. As an asset manager who is attached with a client as an advisor, an individual has one main goal – to significantly grow the portfolio of the client’s investments. Institutional investors who often hire asset managers include pension fund companies, corporations and financial mediators. Asset managers also conduct research, interviews and the statistical analysis of different companies, markets and trends which help in predicting which investments are profitable and which may be risky for the clients. In the realm of corporate finance, asset management revolves around looking for effective ways to maximize a particular company’s value. This is done by managing the fixed as well as the tangible assets of the client in order for them to be more reliable, efficient and cheaper. Evaluations of such assets include asset financing options, accounting methods of assets, management of operations and maintainance of discipline. Asset management: What is required to break into the field? Holding a degree in finance is the prime requirement of an asset management firm. An individual needs to hold a graduate or a post graduate degree in finance in order to start a successful career as an asset manager. Larger, more established companies would want their preferred candidates to hold specialized certifications such as CFA (Chartered Financial Analyst) or even an MBA with a specialization in finance. Asset management is all about crunching numbers. Candidates must be adept at specialized tools such as SPSS and Microsoft Excel in order to make their everyday work activities easier and organized. Comfort with such tools will bring about superior analysis and quality of work. Other than that, financial modeling is another statistical model which helps in forecasting. As candidates move up the ladder, they will be pulled out from operational work and pushed into management and team building. For this reason, it is important for him or her to know how to manage people and integrated teams. Decision making is another aspect that is appreciated in an asset manager, as the need of the job is to make fast but impactful decisions. Where money is involved, time is the essence. In this job title, there is very little interaction with the clients. 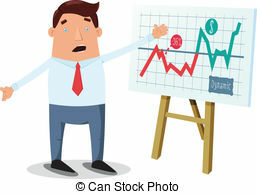 The analyst’s role is to conduct financial and equity research for the fund manager or leader. The main responsibility is to collect the data on a particular company or industry and analyze the financial muscle that it holds. Salary of an individual of this profile is about USD 150,000 per annum, and can go up to USD 1 Million as well. Buy side and sell side are quite similar in nature. However, on the sell side, analysts cater to external clients as well. This profile is more extroverted and involves interaction with clients as well. These analysts have to be good in their communication and presentation skills and are required to make recommendations to their clients in terms of investment of their money. Salaries are similar to the buy side analysts. Client portfolio managers have utmost responsibility as well as discretion to make decisions and choose their own portfolio of funds. As a client portfolio manager, the composition of the funds will be decided by the manager himself. This is a highly strategic job profile and requires analytical thinking when making critical decisions. Client portfolio manager salaries can go up to millions of dollars. Financial advisors are in a business development profile where the primary task is to get hold of more business or more clients. Such a job description can include several funds and requires quite a few years of experience. Compensation for this job title is based mostly on commissions. IT asset managers are responsible for the daily as well as long term strategic management of software and technology related hardware which exists inside the organization. This may include planning, monitoring, and recording software license and/or hardware assets. IT assent managers salaries range from USD 55000 to 80000 per annum. This entry was posted in Jobs in Finance and tagged #asset, #management, asset management software, client portfolio manager salary, digital asset management, it asset management salary, it asset management solution, its asset management.